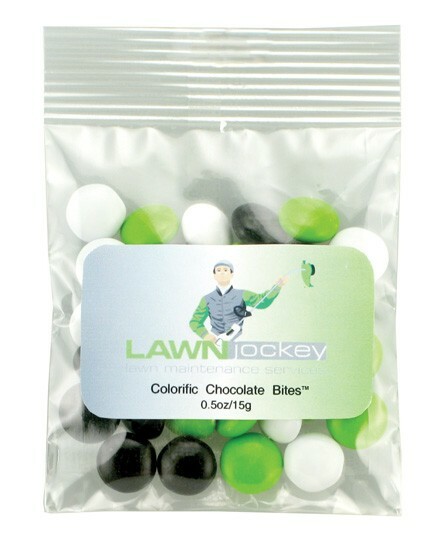 Candy coated milk chocolate candy bites in 11 vibrant colors. Mix and match colors for no additional charge. 0.5oz heat sealed bag is an ideal trade show giveaway or favor size.